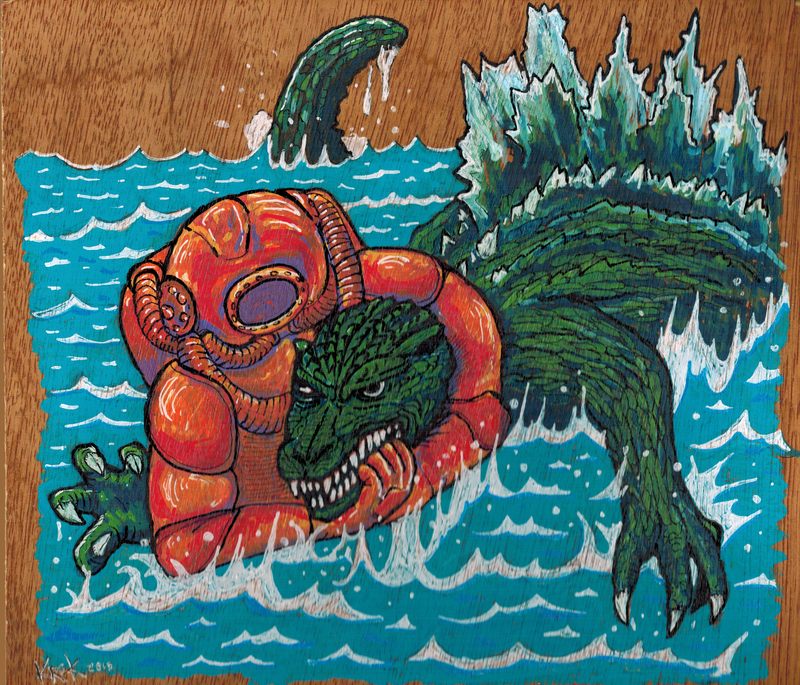 This entry was posted in News and tagged art, Asheville, B- mOvies, creature, diver, diving suit, folk art, genre films, godzilla, gojira, Halloween, horror movie, monster art, old time diver, painting, squid, The Big Crafty by Jason Krekel. Bookmark the permalink. John Brown mixed with a Cephalopod! Ahhh Yep! He keeps extra suits in His Lobstah Boat in case of Monsters rising from the depths!